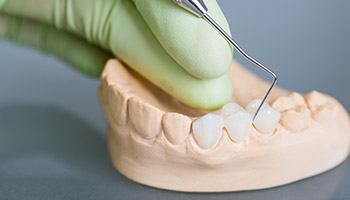 Restorative Dentistry for Metairie: Broken or Decayed Tooth? No Problem, We’ll Fix It! Nobody’s perfect: it’s very likely, at some point, that you’ll have a damaged tooth or cavity that needs to be repaired. Luckily, at Nelson Dental Care, fixing these kinds of issues is just another day at the office. 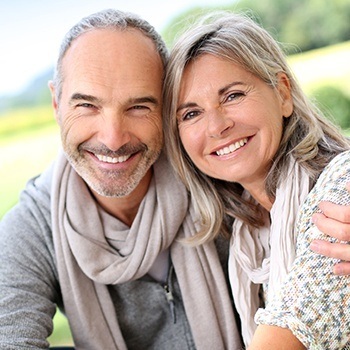 With our restorative dentistry services, we can make your teeth look and function like normal again, as well as prevent more complicated problems associated with your bite. All it takes is just one or two easy appointments to get your complete smile back. A dental crown can be used to repair a tooth that is chipped, broken, cracked, or even decayed. It gets its name from the fact that it simply fits over the top of a damaged tooth. This is also why it’s commonly referred to as a cap. It can be shaped to perfectly mimic a natural tooth in every way, restoring its shape, size, strength, and color all at the same time. Crowns can be made of a variety of materials depending on which tooth we are repairing, and it typically takes just two visits to get a completely custom-made one. Crowns can also be used to replace a single missing tooth or even a few in a row. This works by placing crowns on the teeth on either side of the gap in the smile, and these are then bonded to prosthetic teeth that fill the empty space. This is called a dental bridge, and just like with crowns, it only takes two visits to get one specially made to rebuild your smile. 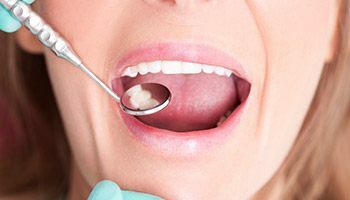 Fillings are a quick and easy way to repair small cavities and slightly damaged teeth, but traditional metal fillings come with a few noticeable drawbacks. Firstly, the material used, amalgam, always leaves a large gray streak on any tooth it repairs, making it instantly stick out in a person’s smile. Plus, this metal can’t actually bond directly to the enamel, meaning that a dentist has to create a pocket within the tooth for the filling to sit in. To do this, they often have to remove healthy enamel, which in the long run, actually makes the tooth weaker and more likely to crack in the future. To avoid all of these issues, our practice chooses to use tooth-colored fillings. They are made of a malleable and durable material called composite resin, and as the name suggests, it can be specially shaded to match the color of your teeth—no more dark gray marks! Also, these fillings are able to bond directly to the enamel, allowing Dr. Nelson to preserve more of your tooth’s natural strength. This means your newly repaired tooth won’t just look great, but it will be built to last as well. If you have multiple missing teeth, dentures are one of the quickest and most effective ways to replace them. Partial dentures can be used to restore teeth that are missing throughout the mouth, even if they aren’t next to one another. For an entire row of missing teeth, we can provide you with a natural-looking and comfortable-fitting full denture. To give your dentures even more security, we can even use dental implants to hold them in place. In any case, Dr. Nelson will use a gentle touch and a generous amount of local anesthesia to make sure that you are completely comfortable during your extraction procedure. Do you wake up exhausted every morning even though you sleep throughout the night? If so, it’s possible that you are suffering from sleep apnea, a very serious condition that can affect both your short and long-term health. At Nelson Dental Care, we can provide effective and easy to use sleep apnea treatment with oral appliance therapy. For this, all a patient needs to do is wear a custom-made mouthpiece to bed each night in order to sleep comfortably and wake up refreshed. 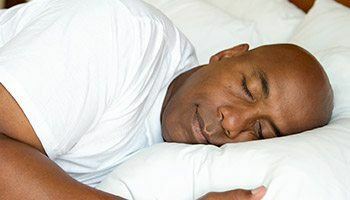 This treatment is ideal for those who may be suffering from mild to moderate obstructive sleep apnea or those who would like an alternative to their CPAP machine. When people come in to see us for restorative care, usually their only regret is that they didn’t come in sooner! We can give you your complete smile back with just one or two easy treatments, and you’ll be amazed at how natural the results will look. To schedule an appointment, simply contact our office today. We are based in Metairie, so we are able to restore smiles for Bonnabel Place as well as Lakeview and West End, New Orleans.